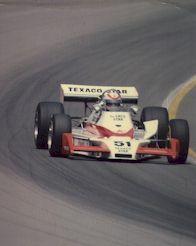 raised to 191.002 mph while qualifying for Indy 500, 1978. First woman to enter the 500 and pass the rookie test (1976). 1977 NASCAR Winston Cup rookie season of 19 races. Finished in top 12 ten times. Best finish 6th.